Jim Flint is a man known by many names: James T. Kettleman, Jim Flint, and the legendary kid at The Crossings, known for being so fast with his gun he killed five men in as many seconds. But now it seems his life has come to a tragic end--he has cancer. Flint is a powerful, cunning, and cold man, a man who has never known a family and has never needed one. But his life has seemingly come to an end, and Flint has chosen to go down fighting. When he unexpectedly starts to fall in love with a beautiful and strong woman, he finds himself fighting for her, risking his life in gun battles, escaping trained assassins, and neatly outwitting his wife and her father, who tried to kill him. But Flint won't live long enough to save them anyway . . . or will he? 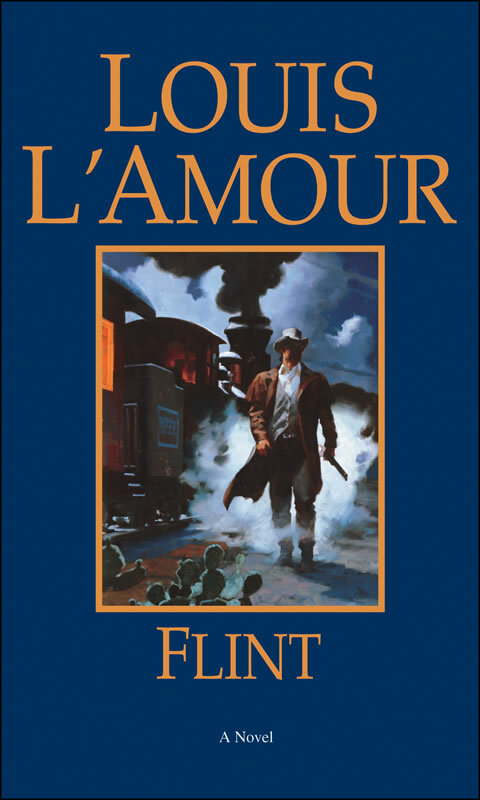 This was a fantastic book because Flint is basically a nameless man, and a lonesome one. It's interesting to read about how he views the world from the viewpoint of someone dying. He is a very admirable character for his now-disregard for life, and his determination to go down fighting no matter what the cost. Flint also has many enemies, and it's impressive on how he deals with them. I would recommend this book to all Western fans who like a good showdown gun battle with a strong and brave main character up against impossible odds. This is a good book to read even if you don't like reading Western novels (like me), and it's good for people who like books about a main character who fights until the end, not just for himself, but for others. And in doing so, finds that he is actually a better man than he ever thought himself to be.